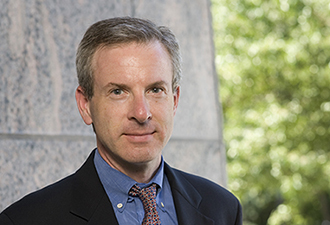 Jonathan B. Wiener is the William R. and Thomas L. Perkins Professor of Law at Duke Law School, Professor of Environmental Policy at the Nicholas School of the Environment, and Professor of Public Policy at the Sanford School of Public Policy, at Duke University. Since 2015 he is the Co-Director of the Rethinking Regulation program at Duke. From 2007-15 he served as the director of the JD-LLM Program in International and Comparative Law at Duke Law School. From 2000-05 he was the founding Faculty Director of the Duke Center for Environmental Solutions, now expanded into the Nicholas Institute for Environmental Policy Solutions, of which he served as chair of the faculty advisory committee from 2007-10. In 2008, he served as President of the Society for Risk Analysis (SRA) (the first law professor or lawyer to hold this post). In 2003 he received the SRA’s Chauncey Starr Young Risk Analyst Award (for career contributions to the field by age 40). In 2012 he co-chaired the SRA's World Congress on Risk in Sydney Australia. In 2014 he received SRA’s Richard J. Burk Outstanding Service Award. Since 2002 he has been a University Fellow of Resources for the Future (RFF), the environmental economics think tank. He is a member of the Scientific and Technical Council of the International Risk Governance Council (IRGC), and of the Chaire Economie du Climat (CEC). He was a chapter lead author for the Intergovernmental Panel on Climate Change (IPCC), 5th Assessment Report, Working Group III, Chapter 13, “International Cooperation: Agreements and Institutions” (2014). In 2015 he was a member of the Special Policy Study team on “Environmental Risk Management” for the China Council for International Cooperation on Environment and Development (CCICED). In 2014-16 he was a member of the World Economic Forum’s Global Agenda Council on Climate Change. He has been a visiting professor at Harvard Law School (2010 and 1999), the University of Chicago Law School (2007), Université Paris Ouest Nanterre La Défense (2014), Université Paris-Dauphine (2010 and 2011), Sciences Po (2008), and EHESS and CIRED in Paris (2005-06). He has taught courses on Environmental Law, Risk Regulation, Climate Change, Mass Torts, Property Law, Global Property Regimes, International Environmental Law, Law of the Atmosphere, Retrospective Regulatory Review, and Happiness & Decisions. Professor Wiener has written widely on U.S., European, and international environmental law and risk regulation, including the books Policy Shock: Recalibrating Risk and Regulation after Oil Spills, Nuclear Accidents, and Financial Crises (Cambridge University Press, forthcoming 2017, with others); The Reality of Precaution: Comparing Risk Regulation in the United States and Europe (RFF Press/Earthscan, 2011, with others), Reconstructing Climate Policy (AEI Press 2003, with Richard B. Stewart) and Risk vs. Risk (Harvard University Press 1995, with John D. Graham), and articles in diverse journals in law, policy, economics, risk and science. Professor Wiener clerked for Judge (now U.S. Supreme Court Justice) Stephen G. Breyer on the U.S. Court of Appeals in Boston in 1988-89, and for Chief Judge Jack B. Weinstein on the U.S. District Court in New York in 1987-88. He received his A.B. in economics (1984) and J.D. (1987) from Harvard University, where he was a research assistant at the NBER , an editor of the Harvard Law Review, and assistant coach of the 1985 intercollegiate debate champions. Jonathan Wiener also helped organize the Americorps National Service program in 1993, helped start the annual City Year servathon in Boston in 1989 and the D.C. Cares servathon in Washington D.C. in 1991, served on the North Carolina State Commission on National and Community Service from 1994-98, and founded the "Dedicated to Durham" community service day held twice each year at Duke Law School since 1995.